A couple weeks back I decided it was time to stop nursing Briggs. I was down to just one feeding at night which was easy – but it was time. I’ve never nursed a day longer than one years old but I think I kept putting it off because I didn’t want to get emotional with my last kid. It was easier to just not think about it. The last night I nursed him, we were in his room cozied up in the comfortable chair. I started to do the math. 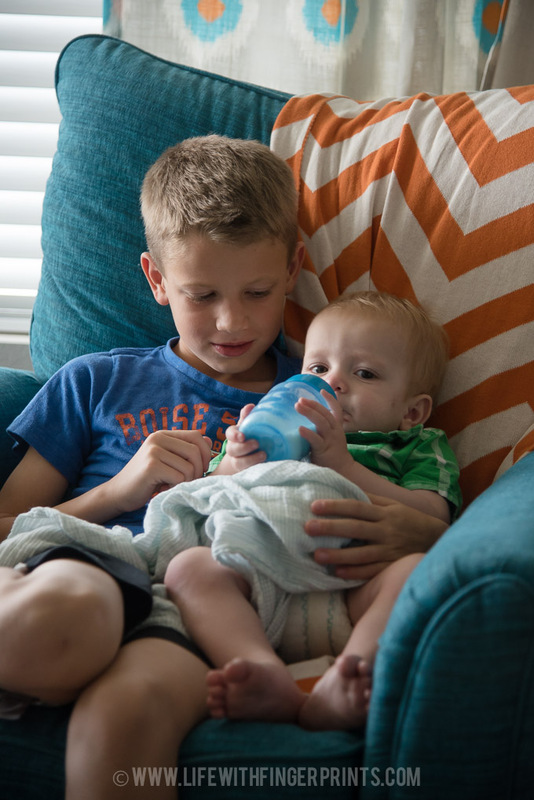 In the 11 years since I had started having kids – I had been nursing a child for 5 of those years. (and over 4 years were spent being pregnant) 5 of the 13 years we’ve been married I have been nursing a child. I was fortunate with my 5 kids that nursing came easy. I didn’t always love it. In fact, it was often inconvenient and burdensome and usually around 6 months I wanted to throw in the towel. It’s funny how it was about the same time frame with every kid. It’s just a lot. But 6 months was our magic month and suddenly it became easier and faster and less rigorous. And that was what I needed to go another 6 months. I enjoyed the bonding time but didn’t enjoy middle of the night feedings. I enjoyed watching them fall asleep but didn’t enjoy pulling over on road trips for a feeding. I enjoyed the cost savings but didn’t enjoy when babies wouldn’t take bottles. There were great moments and not so great moments. As I pondered just how much time I had spent in that chair or one similar nursing a child, I was full of gratitude and surprisingly very little sadness. I’ve had a good long run. Chapter closed.